One of the highlights of Christmases past has been watching my pets open their gifts. My favorite memory is of my gentle dog, Chris, frantically tearing at the wrapping paper while making excited wuffing noises. Upon opening the package and finding his favorite fleece Chewman toy, he trotted merrily around the house, continuously squeaking it. The grand finale was when he removed the noise maker with surgical precision. A short-lived plaything, but his joy made it worth every penny. Not only do dogs and cats enjoy opening presents, but their people do, too. And dog and cat owners appreciate pet-related gifts. To that end, I’ve been keeping a list of noteworthy goods that are veterinarian approved ─ by me, of course! 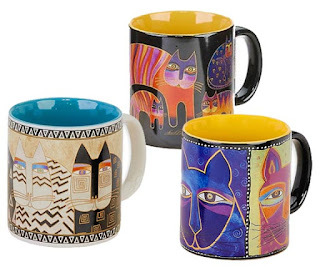 I love these elegant 12-ounce microwave- and dishwasher-safe mugs. They’re chic and come individually packaged in brightly colored artsy boxes. 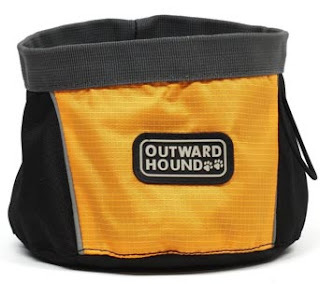 A must for the active outdoor dog! It dries quickly and collapses to fit in your packpack, pocket, or purse, and it can be used for food or water on the go. Every pooch can use a refreshing drink of water during his walk on a hot day. I wish that I had thought of this – brilliant! 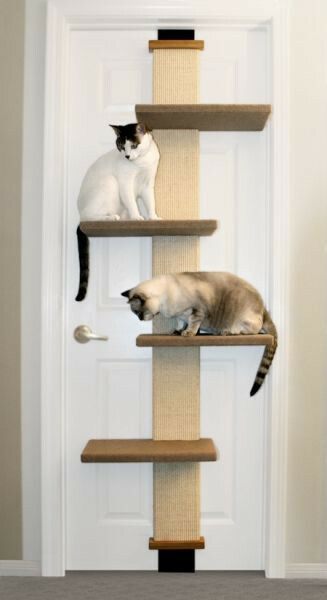 This cat tree fits a standard 80-inch door, but its spring-loaded bracket system allows it to adjust to similar-size doors. And the post is made of sisal for scratching. 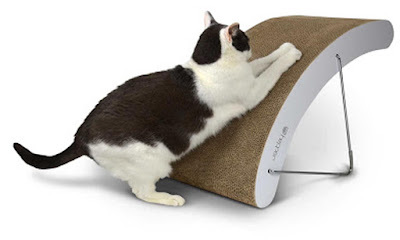 Move it from door to door to give your cats a new view. 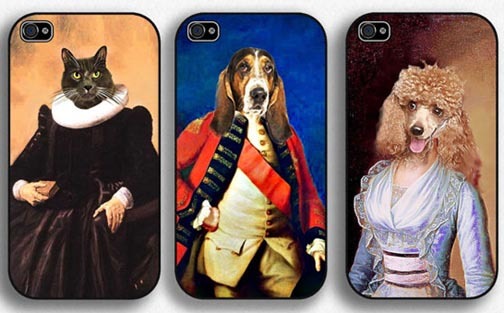 Show off your pet every time you pick up your cell phone: Have his or her picture incorporated into a custom Renaissance portrait for your iPhone or Samsung Galaxy phone case. Choose among characters such as a king, queen, guard, beggar, saint, jester, maid, or general ─ from humble quadruped to King Henry VIII in the blink of an eye! You’ve just spent megabucks redecorating your kitchen. Do you really want to plunk that nasty old chipped dog bowl down on the floor? Mon Dieu, non! Besides, veterinarians recommend raised feeders for your pet’s comfort. 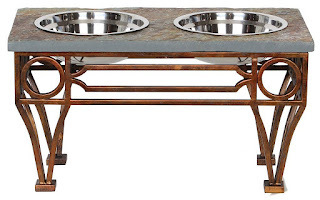 From the metal grillwork base in an aged copper finish to the natural slate top, this feeder combines elegance and rustic charm. 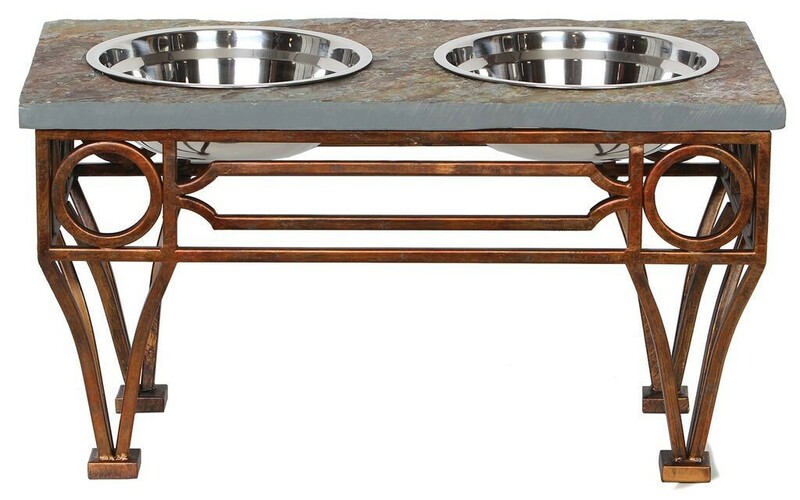 Sure, it’s ridiculously pricey; but your chien spécial deserves to eat in style! It’s a bed! It’s a carrier! It’s a safe car seat! It’s all three products in one. Turn it from a bed into a carrier by zipping on the mesh dome. A seat belt can be fastened through the handle for travel. I especially love this for cats, who will enjoy traveling in the comfort and familiarity of their own bed. What a great way to reduce stress on those visits to the vet! Veterinarians recommend fountains to encourage water drinking, especially for senior cats and dogs. My objection to the ones that I’ve owned is that they get slimy and are hard to clean. And they’re ugly! 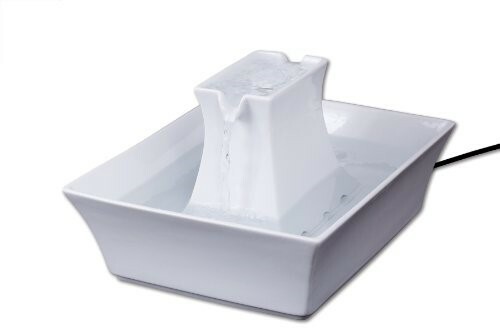 Drinkwell has come out with a fountain with simple, elegant lines. Not only is it attractive, it’s made of easy-to-clean ceramic, and it’s dishwasher safe. 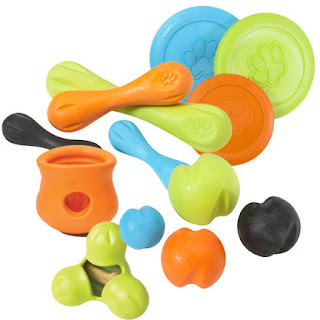 It has an upper and lower dish to accommodate both small and medium-sized pets. The carbon water filter helps keep the water fresh. 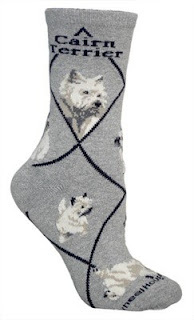 These comfy socks come in multiple sizes and colors. With dozens of breeds from which to choose, they're the perfect stocking stuffer for the dog lover in your life. I researched the best chew toys for dogs in a previous post, and these came out on top. They won’t fracture teeth, and they’re environmentally friendly: When you send your worn-out Zogoflex toys back to the company, West Paw recycles them into new ones. They come in a variety of colors and shapes, so there’s a good chance you’ll find one that your buddy approves of. 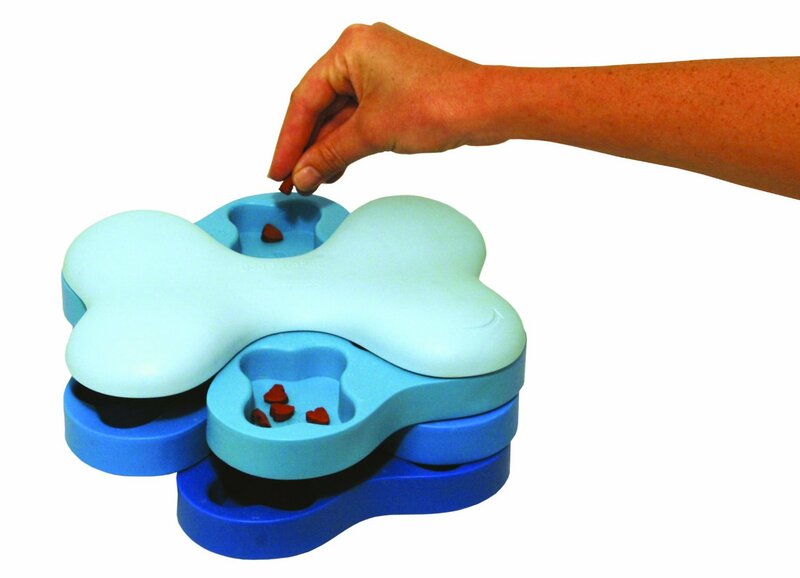 Interactive feeding toys help slow hasty eaters, and this one makes meals more interesting. Your dog will learn to turn the revolving sections to reveal his vittles. The Tornado allows you to gradually increase the level of difficulty as his skill improves. Dogs like to have a job, and this feeder gives them a sense of accomplishment. A humble gift, yes, but one much favored by veterinarians, shelters, and trainers. We use these at Vernon Hills Animal Hospital. 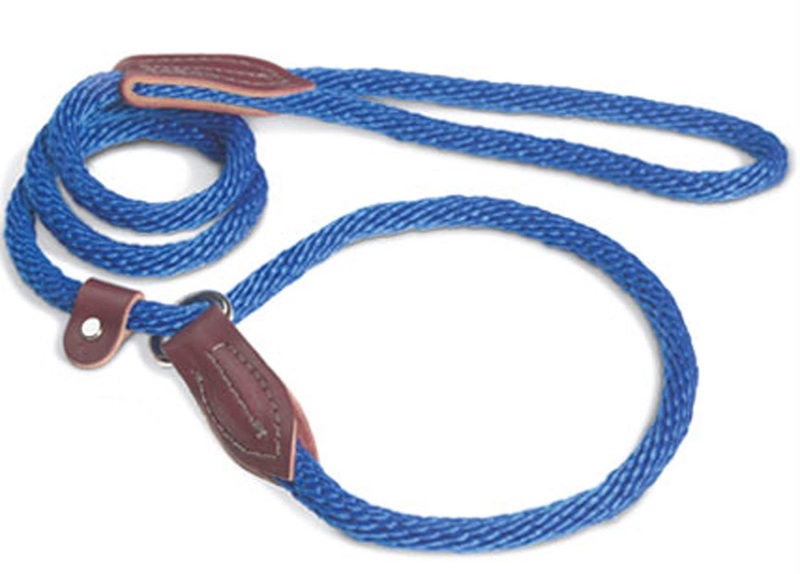 When our clients feel how soft and well made these rope leads are, they invariably ask where we got them and buy a couple for themselves. Do you have a feline food bully at home who nudges your other cats out of the way and eats too much food? 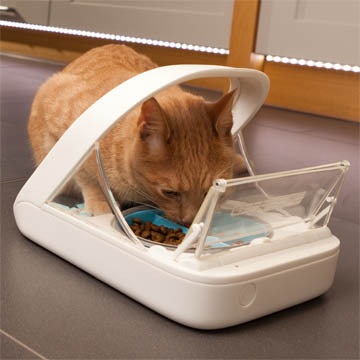 I do, so when I saw this microchip feeder I had to have it! It works with your cat’s existing microchip (or we can insert one for you) or with the included tag. When your pet approaches the feeder, a covering slides up and allows her to eat. When she’s finished, it quietly closes. The two bowls, which are suitable for both dry and wet food, seal tightly to ensure freshness. I love that it runs on batteries, so there are no cords. If you think $149 is pricey, consider the financial implications of diabetes and other obesity-related diseases, which can cost hundreds of dollars in vet bills every year. Now our clients whose cats are on weight-loss and prescription diets won’t be able to steal other cat’s food and overeat. Awesome! Ridiculously expensive, but so cool I just had to include these. 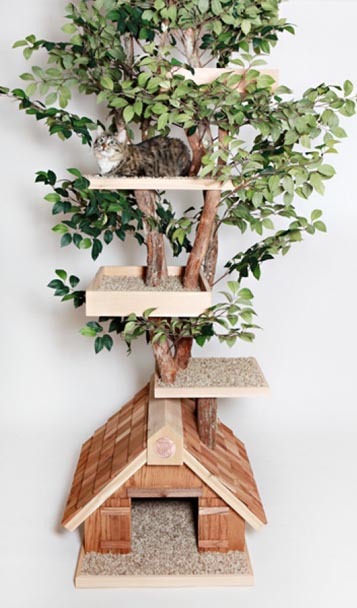 They’re made from real trees embellished with silk foliage to give your feline friend a lifelike experience. The trunk can be used as a scratching post. But there’s no need to spend megabucks to own one. For someone good at woodworking, I think this would be a fun, reasonably priced do-it-yourself project. Happy shopping, and happy holidays to you and your family members, including the furry ones! Every year the American Veterinary Medical Foundation, the charitable arm of the AVMA, hosts the America’s Favorite Veterinarian contest. Its objective is to “honor and recognize those entrusted to preserve and protect the health and well-being of pets, as well as to celebrate the special relationship pet owners share with their veterinarians.” Seems like a laudable and harmless event, right? 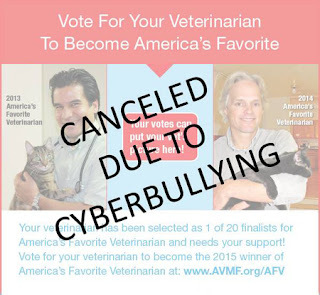 A group of animal rights activists opposed to declawing cats disagreed, and it launched vicious cyberattacks against most of this year’s 20 finalists. Their actions brought the contest to a halt before a winner could be declared. Most of the practices contacted did offer the surgery as a last resort if their clients had tried everything else to prevent destructive clawing behavior, or if being scratched presented a health risk for the cat owner. That is the stand we also take. We discuss alternatives with our clients. If they decide they must have their cat declawed, and if it’s an indoor cat, we’ll perform the procedure if the case fulfills the criteria we have established in our practice. My experience has been that cat owners who make the decision to declaw don’t take it lightly. They’re concerned about whether their kitty will be in pain after the surgery, and about how he’ll function without front claws. Because we use both general and local anesthesia, a CO2 laser, pre- and post-op pain medications, and take-home analgesics, our patients experience very little pain and discomfort. They also function very well with no front claws. I can’t recall any long-term complications in cats we’ve declawed, and our clients are pleased with the results. Many of our clients disagree with declawing and choose not to remove their cat’s claws. I support that decision; I prefer not to declaw. But I always urge cat owners to think ahead: What if they buy an expensive sofa, for example, and their cat destroys it? Will they accept that willingly, or will they then decide to declaw? Young cats recover quickly from the surgery, but it can be much harder, both physically and mentally, for older cats. Because of that, we prefer not to declaw adult cats. So it’s imperative that owners carefully consider the pros and cons of living with a fully armed cat before making a decision. I understand the passion of animal rights activists. In fact, I’ve eaten a completely plant-based diet for almost five years, not only for health reasons but also because I feel that big agriculture is inhumane to our animal friends. It may seem like my views – about preventing animal cruelty by not eating animal products, but allowing cat declaws – are at odds with each other. But exceptions are the rule. Some populations need to eat animal products in order to survive; I fully accept that. And sometimes we have to declaw a cat to allow him to share a loving home with humans. Pet owners have to make many life-changing choices for their pets, and most do so with good intentions. We can’t allow bullies to interfere with decisions that should be made between a client and a doctor. I awoke at midnight one night last week to the sound of loud, banshee-like wails coming from the other end of the house. I immediately knew what was up: My cats were at war with each other. They’re Cornish Rexes with the same parents, but from different litters, and they’re best buds. They’ve had their share of skirmishes, but this was unlike anything I’d ever heard. I cautiously entered the room where they sleep at night and found both cats circling the room in a crouched position, staring and hissing at each other. Their ears were flattened and their tails were lashing. After I took my younger cat out of the room, my older cat, Hogan, body-slammed the sliding-glass door leading outside, as if to attack an enemy in the dark beyond. That confirmed my suspicion: It was a case of redirected aggression. This puzzling behavior results when a cat is highly aroused in a negative way, which triggers his instinct to attack. The classic example we veterinarians use is this: A cat looks through the window and sees another cat outdoors. For most cats, the invasion is a declaration of territorial war. The indoor cat becomes aggressive and fearful but can’t get to the outdoor enemy. It’s highly frustrating. 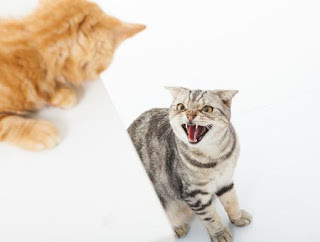 Another pet or a person comes near the distressed cat, and the cat attacks the unsuspecting victim – even if there is no history of animosity between the two. That scenario is undoubtedly what prompted the battle between my two little guys. A curious thing about redirected aggression is that the aggressor can develop learned associations that can cause him to react even when the initial inciting stimulus — in this case, the outside cat — is no longer around. One of my clients told me a story about her two cats, who were snoozing on the sofa one day while she was watching Nat Geo. There was a loud, violent fight between two wild animals on TV, which awoke one of the cats and provoked it to attack the other. From then on, that cat reacted adversely to loud television noises, and the owner had to keep him away from her TV when it was turned on. In that case, the origin of the cat’s reaction was obvious, but most of the time, the initial trigger eludes us. Knowing how to safely manage a highly agitated cat in attack mode is important. The first thing to do is to separate the two combatants. I threw two thick towels over my younger cat, picked him up, and locked him in a spare room, but I know how to do that quickly and safely. Some cat owners would be wise to stand well away from the aroused felines and simply shut one out of the room when it runs. Never try to pick up or separate fighting cats with your bare hands. Even breaking up the melee with a glass of water or a broom could provoke an attack on you, so be cautious. Fatalities rarely occur between warring cats, but they are well-armed, and wounds from their claws and teeth are not trivial to either people or pets.1 A cat exhibiting redirected aggression is a dangerous animal. After you separate them, place one in a “decompression room,” and continue to keep them apart. 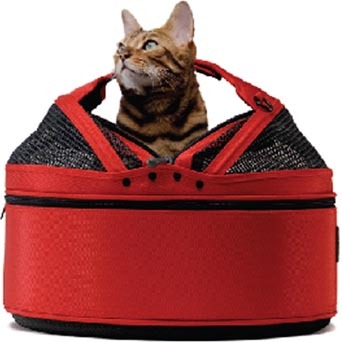 You can alternate which cat is confined so they don’t feel as though they’re being punished. Hogan, my aggressor cat, stood at the door to the room where I was housing my other cat, yowled, and attacked the door. I then separated them by two doors. After 24 hours I separated them by one door. By the end of day two, Hogan was pawing at the door and meowing for his friend, Cam. I opened the door, and they proceeded to groom each other and cuddle up as though nothing had happened. How can you prevent this nerve-wracking behavior? Identifying the trigger causing arousal and then removing the cat’s access to the stimulus would be ideal. Take Hogan, for example. His trigger is outdoors, so I’d need to cover the windows so he can’t see any outdoor cats or other animals. That would mean covering nine sliding-glass doors and at least as many windows. Not! And unless it’s only a couple of windows, I don’t expect my clients to do that, either. But occasionally a specific trigger, such as the above-mentioned TV noise, can be avoided. 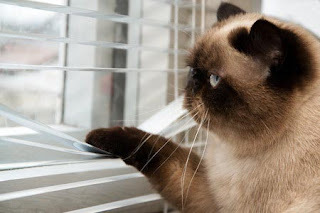 An observant owner will learn to recognize the signs of an impending conflict and will separate their cats before violence erupts. The owner’s response to a cat’s aggression is very important. Reactions such as yelling, throwing objects, or hitting the cat might redirect his aggression to you from that point on. If the behavior becomes chronic or dangerous, or if a person is the victim even once, I refer the case to a veterinary behaviorist. They can teach the owner how to desensitize and counter-condition the cats, or at least teach how to recognize the signs of arousal in time to take preventive measures and thwart a battle. Anti-anxiety drugs, such as Prozac, are a bit controversial for this problem. Behavioral experts aren’t really sure how much help they provide. Besides, sometimes the incidents of redirected aggression can occur years apart. Why subject your cat (and yourself!) to daily pilling when it might not be beneficial, or for a behavior that happens only twice a year? That being said, I’ll recommend one of the calming drugs if the household cats are continually brawling. I’ve seen plenty of cases in which a client’s cats become permanent enemies and can’t live together, so I figure there’s nothing to lose by trying medication. After what I experienced, I realize that the key is to be prepared. I now have a litter box and automatic waterer tucked away in my guest room, which came in handy the other day when another incident appeared imminent. Reacting swiftly and safely by separating them will give you the best chance of a speedy resolution. Your dog sits near the table and with rapt attention watches every bite you eat. Or perhaps your cat repeatedly head-butts your legs, demanding snacks. So you give your pooch your leftover toast or your uneaten chicken skin. You let your kitty slurp up the remaining milk in your cereal bowl. We love our pets and love to spoil them, so we’re probably all occasionally guilty of that behavior. Besides, it’s only a little tidbit; what harm can it do? Treats add unnecessary calories, which lead to unwanted pounds. And those lead to lethargy, inactivity, wear and tear to joints, diseases such as diabetes, and a host of other problems. Another issue is nutrient balance. If your pet’s food is AAFCO1 approved, that means it’s complete and balanced. When you add extra nutrients in the form of snacks, you can throw that carefully concocted nutrient profile out of whack. Giving snacks is important to many pet owners. I don’t object to my clients feeding up to 10% of their pets’ calories in the form of treats. Once you figure out how many calories you’re feeding your pet, you’ll be able to figure out how many calories that 10% is. But good luck finding the calorie information on the bag of food! You’ll need to do a little research. Go to the company’s website, or call the 800 number on the bag. It turns out that the 10% in question translates to a paltry amount of extra morsels. Until I was enlightened by the “doughnut conversion scale,” I had no idea how quickly the calories add up. What exactly is the doughnut conversion scale? It’s a chart put together by Royal Canin showing the conversion of dog and cat treats to the comparable number of doughnuts for humans. You gave Fido that slice of toast? Two doughnuts. If he eats a dried pig ear, it’s proportional to your eating three doughnuts. The biggest shock for me was a large knotted rawhide bone: 10 doughnuts! Cats don’t fare any better. Ten tiny commercial treats equal one doughnut. How much weight would you gain if you ate eight doughnuts a day? 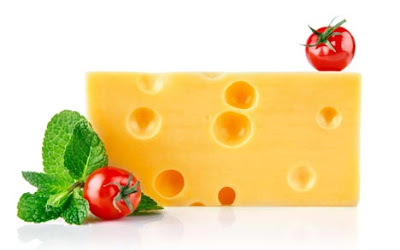 Feed your cat one ounce of cheese daily and see what happens to his waistline; that’s the feline equivalent of eight doughnuts! Pick treats that are nutritious, such as good-quality commercial treats, homemade biscuits, apple slices, string beans, carrots, squash, broccoli or other veggies. 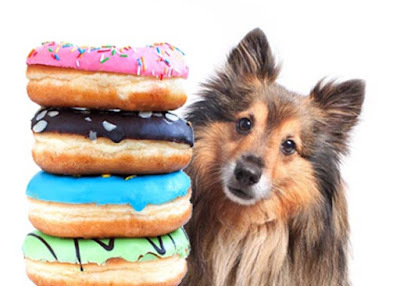 Figure out how many of those treats equal 10% of your pet’s daily caloric intake (again, you might need to go to the Internet for calorie information), and set them aside in a bowl every day. That’s it; he can’t have any more, no matter how much those soulful eyes implore you. If you feel yourself giving in, remember that the enjoyment your dog or cat receives from treats isn’t related to the quantity. The value of feeding tidbits is derived from his interaction with you, and the predictability of the routine. Pets thrive on consistency, so having a set routine2 for giving snacks is a worthy goal. Feeding and giving treats is an important aspect of the human-animal bond, so enjoy doing it; but pay attention to those doughnuts! 1 Check the small print on the pet food bag. It will say something like “X Brand is formulated to meet the nutritional levels established by the AAFCO (Association of American Feed Control Officials) Dog/Cat Food Nutrient Profiles for maintenance”. 2 Don’t give your dog treats every time he comes in from being outdoors. In my experience, unless you offer very low-calorie snacks, like carrot coins, that is the fastest route to obesity. Not long ago I was browsing in a store when I heard someone say, “Dr. Molly!” It was a client whose cat had recently been euthanized, and she told me that she was still heartbroken. She lives alone, and that kitty had been her constant companion. She then went on to tell me that she would never get another cat again. Losing a pet was too painful. Folks have lots of good reasons for not replacing their lost pals: Long hours at work, or otherwise being too busy, can preclude having a dog. Some people want to start traveling and don’t want to have to board or find a caretaker for their pet. Economics and allergies are other good excuses to avoid pet ownership. But not getting another companion for fear of the inevitable loss is a reason that deserves further consideration. About seven years ago I was diagnosed with a chronic disease, and that sent me on a quest to make sense of it all. 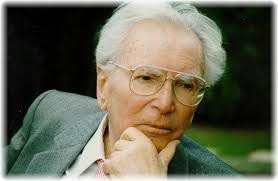 My research led me to read Victor Frankl’s famous book “Man’s Search for Meaning.” Frankl was a Jewish psychiatrist who was sent to four different concentration camps during World War II. His suffering there was unimaginable. The odds of his survival in the camps were one in 28, but survive he did. His profound book isn’t about just his torment at the camps, but also his insight as to what makes life meaningful. I recently reread his book and realized how well it related to my observations as a veterinarian. 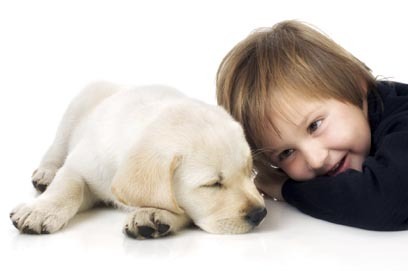 The first two ways, finding meaning in achievement or accomplishment and experiencing something, are easy to understand in the context of pet ownership. By giving a pet a good life, not only are we doing a good deed, but we are also creating the experiences of mutual joy, love, and affection. Frankl contends that experiencing can be as valuable as achieving. That is therapeutic, because we live in a world that emphasizes achievement in the external world at the expense of one’s internal experience. The suffering after the death of a beloved pet caused my client to reject the thought of getting another cat. According to Victor Frankl, we would need to find meaning from such an event in order to transcend our anguish. What could possibly be meaningful about losing a beloved companion? Losing your pal opens up the opportunity to provide another pet with a happy life. That is especially important for an animal that is confined to a crowded shelter and at risk of euthanasia or that is otherwise homeless. Immersing yourself in sorrow in the long term will preclude your giving love to another dog, cat, or other pet, and it isn’t a righteous tribute to the friend you lost. Victor Frankl contended that we may find meaning in life when facing a situation, such as death, that cannot be changed. He believed that when we suffer the death of a loved one, we “bear witness to the uniquely human potential at its best, which is to transform a personal tragedy into a triumph, to turn one’s predicament into a human achievement.” He felt that we should suffer bravely, and he considered that to be ennobling. Being imprisoned for four years allowed him that unique perspective. Through suffering the loss of a pet, we survive and learn to cope. If you could see that as an ennobling achievement, as Victor Frankl did, it would allow you to move on. Fear of loss would not deprive you of what could be many more years of giving and receiving the love of a pet. And that will add to the richness and meaning of your life.